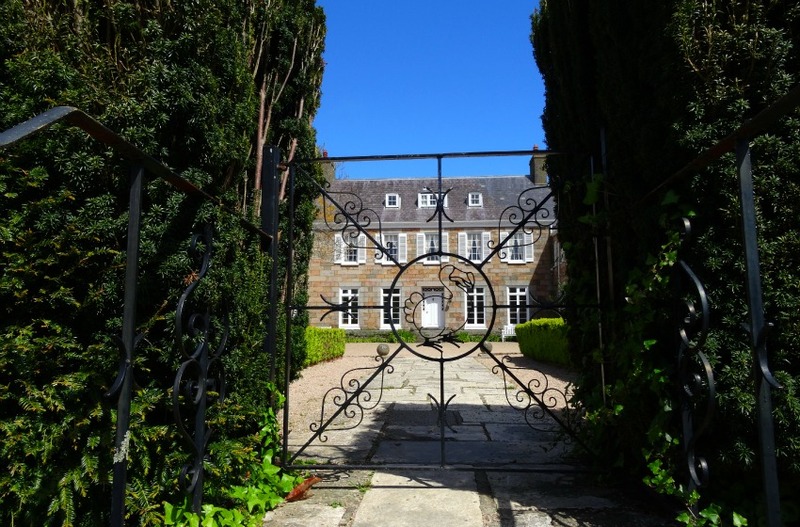 Set on the picturesque British Island of Jersey is the world renown Durrell Wildlife Park, formally known as Jersey Zoo, was first established in 1958 by naturalist and author Gerald Durrell. Set on +30 acres on the north-east corner of Jersey the Durrell Wildlife Park is home to over 1400 animals from over 130 species, but it’s not your typical “zoo”. Why? Because here at the Durrell Wildlife Park it truly is all about the animals, the conservation projects and saving species from extinction with visitors coming in last. How is it still running then? Simply put, because you wouldn’t even notice. There are fantastic restaurants and cafés on site, rare and intriguing animal species, keeper talks, as well as accommodation on site and even free ranging animals – no not the traditional peacocks, there are various endangered duck species and tamarins! Yes, there are 3 groups of tamarins, of three different species to avoid territory disputes, living free in the Tamarin Woods but to see them you’ll have to be patient and quiet. You’ll also catch sight of local wildlife taking advantage of part of the grounds that has been designated for nature and wildlife, marsh land, forested trails and plenty of bat and bird boxes. The Durrell Wildlife Park doesn’t need rides or theatrics it serves a purpose and hopes visitors will come, not to be entertained, but to be educated and inspired. 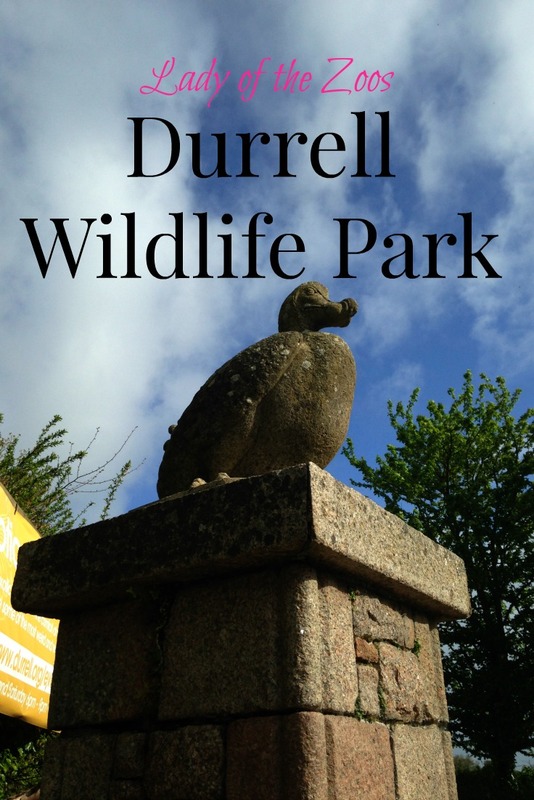 Many visitors go for the amazing and endangered animal species at the Durrell Wildlife Park but others like myself go in search of something more, on a sort of pilgrimage to walk in the footsteps of one of conservation’s heroes, Gerald Durrell. Always a naturalist from the begin, collecting and keeping animals in his family home in Corfu as a child to traveling the world collecting wild animals as an adult for famous zoos. Gerald Durrell was also a charming and witty author of books of his travels, his animal escapades and then his zoo. What started as a wild dream of creating a small zoo with its sole purpose to help save species from extinction has become a world-famous zoo that has inspired countless people to become conservationists, do their part to help save wildlife and successfully brought species like the Mauritius kestrel back from the brink of extinction. The Durrell Conservation Trust as well as local conservation organizations has helped save countless species from across the globe like, mentioned above, the Mauritius kestrel whose numbers were down to 4 in the 1970’s and are now up to 350. 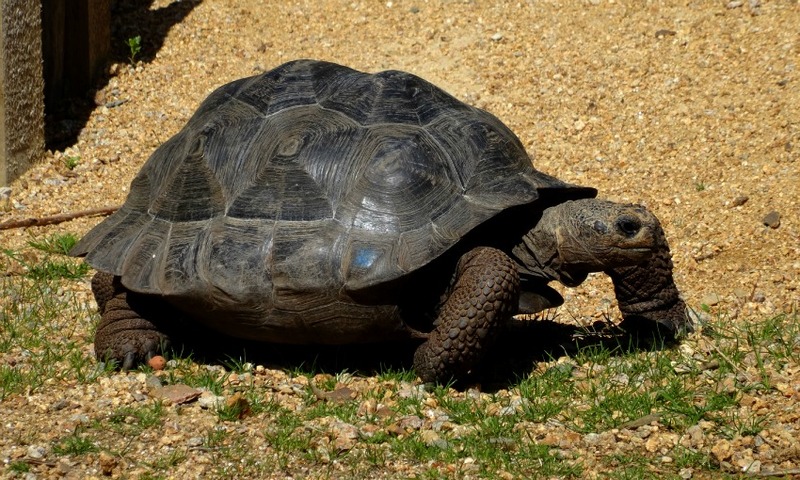 Most of Durrell’s work is overseas, specializing on island species like the Antiguan racer which was once the rarest snake on Earth, the Rodrigues fruit bat with a few hundred in the early 1980’s to an astounding 10,000 and the ploughshare tortoise of Madagascar which is sadly still the most threatened tortoise. The Durrell Conservation Trust is committed to not only saving species far afield but also right at home on Jersey. The Trust is working to help declining populations of Jersey’s sand lizard, the Jersey common toad and agile frog as well as the red-billed chough. The red-billed chough went extinct over 100 years ago in the Channel Islands but Durrell has partnered with local organizations on Jersey to help bring this beautiful bird back to the island. They have successfully reintroduced 20 over the past few years with a remarkable achievement this year with the first red-billed chough chick born in the wild in over 100 years! The Durrell Wildlife Park and the Durrell Conservation Trust have and continue to be on the forefront of conservation and will go on being the inspiration to the next generation of conservationists. 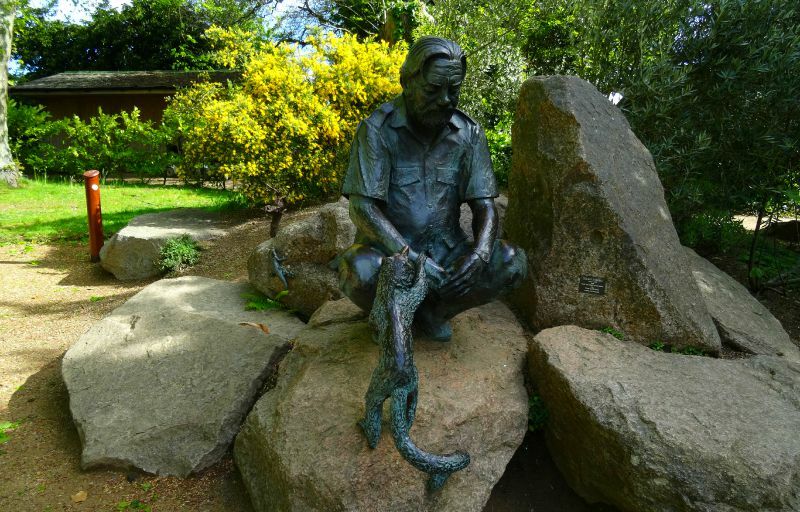 During my visit, which I must admit changed my life, I met many who work at the Park, with their sister organizations around the world and other visitors and they all had one thing in common – Gerald Durrell’s dream in their hearts. They all had determination, dedication and a strong passion to save species from extinction. 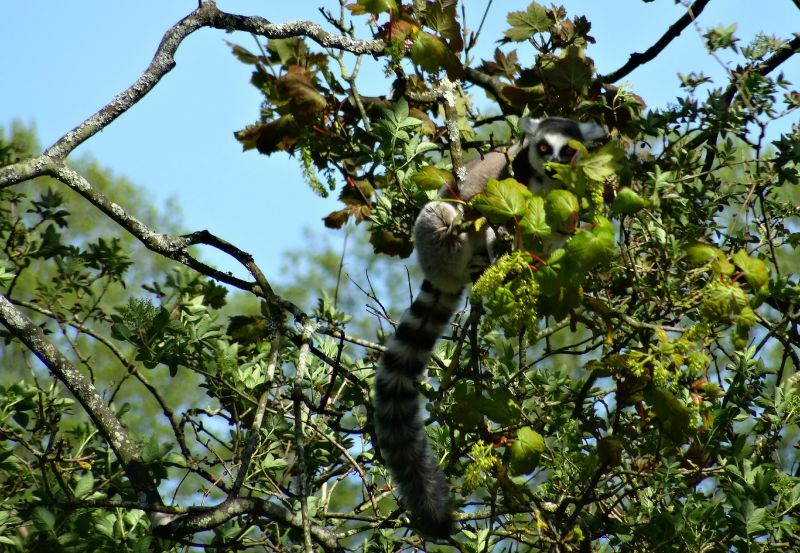 Have you ever had the opportunity to visit the Durrell Wildlife Park? I was a guest of Durrell Wildlife Park but all opinions are my own.